Sometimes Living in the Big Apple Really Bites! Eighteen-year-old rock star Sam Lee isn’t like other girls. She’s the super-talented bass player and songwriter for an all-girl indie band and an incurable loner. Then one night after a concert in Central Park, she’s attacked by a “wild dog.” Suddenly, this long-time vegetarian is craving meat — the bloodier, the better. Sam finds herself with an unbelievable secret and no one she trusts to share it. And so begin the endless lies to cover up the hairy truth. . . . When a new girl gang appears in the city — with claws and paws — Sam suspects there’s a connection to her own inner beast. 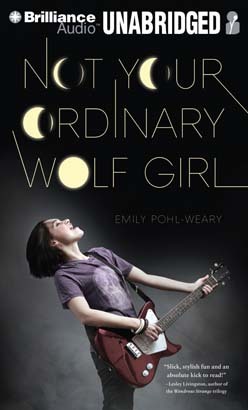 Trapped in a tug-of-war between her animal and human selves, forced to choose between the guy who sparks her carnal appetite and the one who makes her feel like a normal teenage girl, Sam has to unravel the mysteries of the werewolf world before her bandmates, the media, and her mother catch up to her.